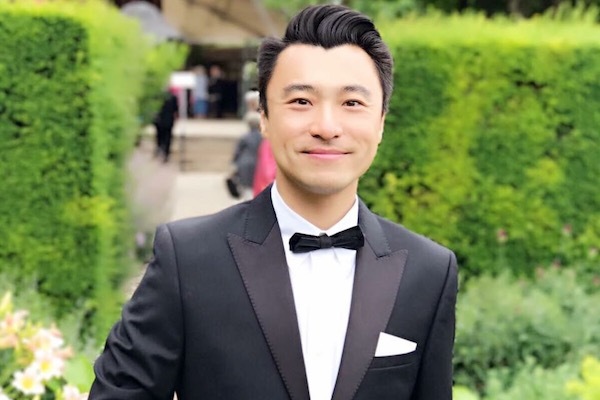 Tenor Bo wang will receive £300 of support to help towards travel costs, coachings and singing lessons to prepare him for a last minute engagement as the Governor, Vanderdendur and Ragotski in Candide. The concert performance of Candide will be performed with the Xi’An Symphony Orchestra and is also the works premiere in China. Lyric tenor Bo Wang graduated in 2011 gaining a distinction in his second Masters in solo performance and awarded The John Cameron Prize for Lieder at the Royal Northern College of Music. He was supported with a full scholarship from the ABRSM. Bo gained his first Masters degree in Musicology from Beijing Normal University and he won a gold medal at the Fifth Singapore International Music and Dance Competition 2007. Bo has also been given the Gil Rodriguez Scholarship Award 2016. Bo is an Iford Festival Young Artist 2018. Opera experience includes Governor/Vanderdendur/Ragotsky, (Candide, Chinese Premiere, Xi’An Opera China 2018), The Commissioner (Madama Butterfly, Iford Festival 2018), Hadji (Lakme, Swansea City Opera 2017), Philistine Messenger (Samson et Dalia, Grimborn Festival 2017), Dr. Blind (Die Fledermaus, Opera Integra 2017), Piquillo (La Perichole, Opera de Bauge 2016), Don Basilio & Don Curzio (Le Nozze di Figaro, Xi’An Opera China 2016), Tito (La clemenza di Tito, Midsummer Opera 2015), Goro (Madama Butterfly, Opera de Bauge 2014), Trin (La fanciulla del West, Midsummer Opera 2014), Alfred (Die Fledermaus, Epsom Light Opera Company 2014), Normanno (Lucia di Lamermoor, Opera Seria 2013), Hermann (The Queen of Spades, Park Opera 2013), Phoehus/Autumn/Chinese Man (The Fairy Queen, Benslow Opera 2013), Jenik (The Bartered Bride, Manchester City Opera 2012), Lynceus (Les Danaides, University of Leeds 2012 ), Don Basilio (Le Nozze di Figaro, British Youth Opera 2011)，Thyrsis (Euridice, British Youth Opera 2010)，Nencio (L’infedelta delusa, RNCM 2009), Achilles (La Belle Hélène, RNCM 2009). Aside from opera, Bo's performing experience includes the role of Mr. Bumble in the Chinese premier of the musical Oliver. As a soloist in oratorio, Bo has performed in works including Handel’s Messiah, Joshua and Israel in Egypt, Mozart’s Requiem and Coronation Mass, Rossini’s Peite Messe Solennelle and Stabat Mater, Orff’s Carmina Burana, Mendelssohn’s Elijah, Puccini’s Messa di Gloria, B.Chilcott’s Requiem, Bach’s Christmas Oratorio, St. John Passion and St. Matthew Passion, K.Jenkins’ The Armed Man (Chinese premier), etc. Bo has recently sung the tenor solo and made the premiere recording of John Rutter’s new song Farewell to Cambridge with King’s College Choir Cambridge . Bo has worked in the chorus or BBC Proms, English National Opera, Opera Holland Park, Garsington Opera. He has performed at Royal Albert Hall, Royal Festival Hall, London Trafalgar Square, Manchester Bridgewater Hall, Beijing Forbidden City Concert Hall and the Bird’s Nest Olympic Stadium, etc. To Apply for our July Audition Oracle Singers Preparation Scholarship and to stay up-to-date on all produciton and opera auditions and operatic singing work, register your free basic Audition Oracle account and recieve a free 30-day-trial of our premium features. This weeks Audition Oracle testimonial comes from the beautiful Australian soprano Saira Luther. I have been a member of Audition Oracle since November 2017 and it has been one of the best singing decisions I have made. Having grown up and studied in Australia, coming to London and having to make new contacts and finding auditions was sometimes challenging especially as this was combined with starting a family. However with Audition Oracle I have secured some great auditions and work including a call back audition for Phantom of the Opera in the West End to singing jobs in Mozart concerts, requiems and a TV commercial. It is a great resource and I am so happy to be a part of it. Read, hear and see more of Saira Luther's work at www.sairaluther.co.uk. Promote your experience, discover opera audition information and find out about world-wide work opportunities for opera, classical and choral singers by taking a free-30-day trial to Audition Oracle. 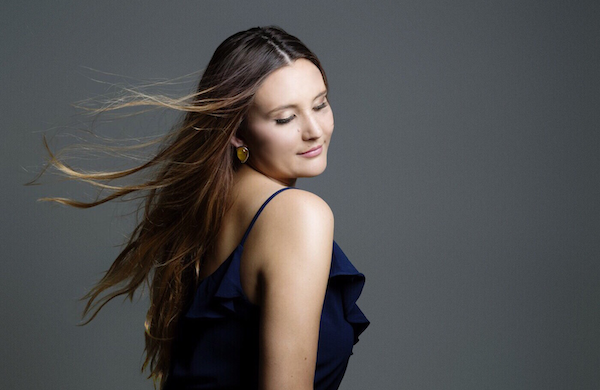 This weeks Audition Oracle review comes from the exciting young mezzo-soprano Monique Simone. Currently Monique is studying to obtain her Masters in Advanced Vocal Studies, at the exclusive Wales International Academy of Voice, under the tutelage of international tenor, Dennis O’Neill CBE. Keep up-to-date with Monique Simone's latest projects here - monique-simone.com. Are you a classsical singer looking to promote your voice and find new vocal opportunities? Take a free 30-day-trial to recieve opera auditions and related opportunities on your mobile phone, dektop or direct to your inbox.